Munich - Some things about Matthias Sammer are common knowledge. For example, how he ought-thought and ought-fought opposing strikers at the highest level for the best part of a decade, claiming a host of honours including the UEFA Champions League, three Bundesliga titles and a European Championship with Germany. Few are aware, however, that the legendary sweeper actually began his career as a forward. 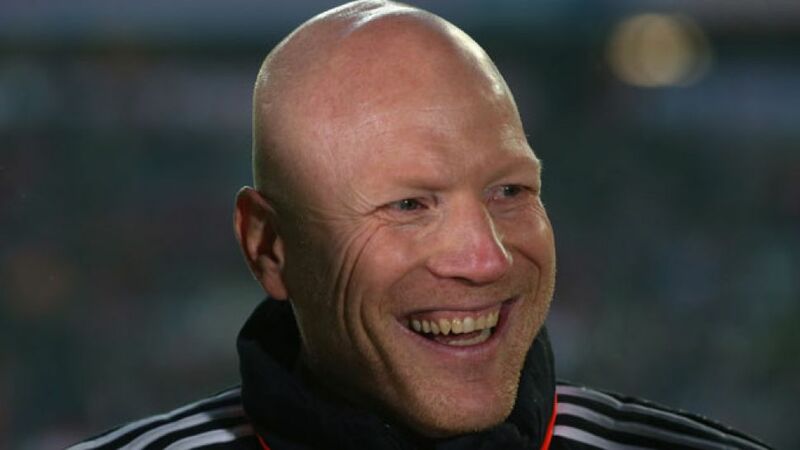 Born into a footballing family, Sammer’s career path was never in doubt. His father Klaus twice won the East German title with SG Dynamo Dresden in the former German Democratic Republic, before later coaching the club to two East German Cup victories. Unsurprisingly, Sammer‘s career also began in Dresden, although for much of his teen years, the slight-framed red-head was a far cry from the omnipotent libero that he would one day become. Success duly arrived as Sammer was crowned league and cup champion with Dresden in 1990, at which point – amid Germany’s political reunification – he opted for a move to VfB Stuttgart. Two years later he became a Bundesliga champion for the first time. After a brief stint at FC Internazionale Milano in Italy, he returned to the Bundesliga in 1993 to play for Dortmund, and it is with the Westphalian outfit that his footballing achievements are chiefly associated, first as a player and then coach. The impulse for his success came from his own trainer at the time, Ottmar Hitzfeld, who converted the ‘red baron’ into a sweeper. It proved to be a masterstroke, as Sammer went on to win successive Bundesliga titles in 1995 and 1996, followed by the Champions League in 1997. Being crowned Germany’s Footballer of the Year in each of those title-winning campaigns confirmed Sammer as the Bundesliga’s best defender, and it wasn’t long before he also gained international recognition. As Germany’s sweeper at UEFA Euro 1996, Sammer’s exemplary displays helped die Nationalmannschaft to glory at London’s Wembley Stadium and he was deservedly named in the Team of the Tournament. Just a few months later, he was crowned European Footballer of the Year, becoming only the second defender in history to receive the award after Germany legend and fellow sweeper Franz Beckenbauer. Uncompromising and cultured at the same time, Sammer’s greatest quality was arguably his sheer bravery. In a Bundesliga match at Borussia Mönchengladbach, he once continued playing after having a wound above his eye-brow stapled shut without anaesthetic. The nickname ‘Iron Matthias’ was duly born. “He had a strong will and unwavering ambition,” explained his former mentor Hitzfeld. “For him there was nothing worse than coming second.” Other than the end of his career, possibly. In October 1997, a routine knee operation was complicated by an infection and suddenly there was talk of amputation as the necessary solution. Thankfully it didn’t come to that, but Sammer’s playing days wouldn’t last much longer and he hung up his boots in 1999. However, at just 32, his appetite for the game was far from sated. Such a determined, intelligent player was almost destined for a coaching role. “Even then he was already thinking like a coach,” recalls Hitzfeld. And so it transpired. Barely a year after his retirement Sammer was back in the Bundesliga, working alongside legendary coach Udo Lattek at Dortmund and helping the Yellow Blacks to avoid relegation. Astonishingly, just two seasons later, he led Dortmund to the Bundesliga title, becoming the youngest coach in top-flight history to so, aged just 34. After four seasons with BVB, he then took over at former club Stuttgart for a season, before becoming sporting director of the German Football Federation (DFB), charged with nurturing the next generation of young German talent. He held the position until 2011 and, following a brief hiatus, returned to the game at the beginning of the 2012/13 season as sporting director of FC Bayern Munich. Under Sammer’s influence, Bayern have wrapped up the Bundesliga title in record time this season and many are suggesting they could be a match for the legendary 1970s’s mantle as the ‘greatest ever’. The Bavarians currently stand on the brink of an historic treble after three runners-up finishes last season, and more than a few observers have identified Sammer as the catalyst for their success – not least Hitzfeld.